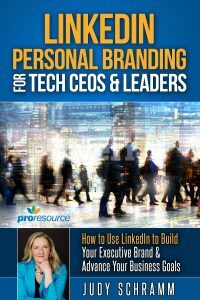 ProResource > LinkedIn > What LinkedIn Contact and Other Information Should You Share? How much of your information should you make public on LinkedIn? What should you hide? Some users lock down their accounts that few can view them. Others are an open book. For most, it’s somewhere in between. It doesn’t help that LinkedIn’s privacy settings appear in different places in your LinkedIn account. And the settings aren’t always clear. What’s more is that LinkedIn’s options vary. For example, the audience isn’t the same for all fields. Some fields — like a Twitter ID — provide just two choices: display or hide. After all that, you still need to decide how much you want to share in LinkedIn and with whom. The following options and recommendations will help you navigate the rough waters of privacy. 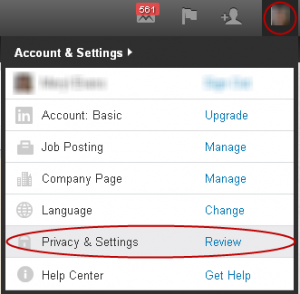 You can access most of the privacy settings by moving the cursor over your photo in the top right corner and selecting “Privacy & Settings” as shown in Figure 1 or go to http://linkedin.com/settings. To access contact information settings, select “Edit Profile” from the Profile menu. Your primary email address is the only contact information that appears in your profile. Only two groups of people can view it: direct connections and people who have your email address in their LinkedIn contacts. Your phone number, IM name and mailing address are only visible to connections as shown in Figure 2. That is, if you enter the information. You can opt not to enter anything for these fields. 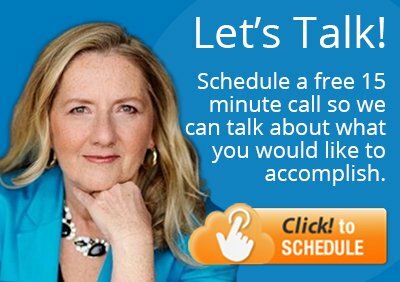 The more information you omit, the less likely someone will contact you. However, a professional may have valid reasons for not sharing some of the information. People who work in a home office, for example, may not want to share their home address. A colleague who is deaf doesn’t post a phone number. 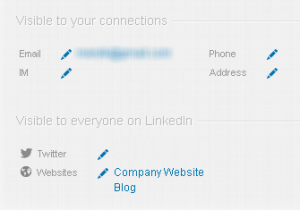 Though you can add your Twitter name to your LinkedIn profile, it won’t be displayed unless you turn it on. Unless you use Twitter for personal reasons or have a private Twitter account, there’s little reason to hide it. The same goes for sharing links to your blog and website. When you “share an update,” you can control who can view it on a per entry basis as shown in Figure 3. This feature gives you visibility as your updates may appear on your first-degree connections’ home pages putting you in the forefront of their minds. Your sharing options are Public, Public + Twitter (posts a tweet) and Connections. This gives you the opportunity to share news, interesting articles, tips and more. It keeps your account fresh, showing you’re engaged, and shares your expertise. You have two options for displaying your name: 1) first and last name, and 2) first name and last initial. The latter is only available if you’ve turned off your public profile, something you don’t want to do unless you have special circumstances. Regardless of these settings, first-degree connections can always see your full name. When doing a keyword search for something other than a first and last name, third-degree connections and fellow Group members with free accounts will only see your first name and last initial. Those who hide their profile from the public have unique reasons for doing it. But whether they show a full last name or just the initial depends on how much they want to share with their network. The next section covers the latter three categories. For detailed recommendations on profile settings, please refer to Managing Your LinkedIn Profile Privacy Controls. In “Privacy & Settings,” go to the “Communications” tab to access the LinkedIn Communications options shown in Figure 4 to review these settings. Turn on/off invitations to participate in research: Based on non-personal information, LinkedIn occasionally invites users to participate in research studies. Other than opting out of receiving information, there’s no benefit or drawback. Turn on/off partner InMail: LinkedIn sends informational or promotional content from its partners from your non-personal information. Changing this option won’t affect receiving messages from individual recruiters. Know that LinkedIn won’t share your name and email address if you decide to opt-in. Figure 5 lists groups, companies, application and privacy controls where you’ll find two options to review. Turn on/off data sharing with 3rd party applications: This shares your basic profile and contact information with third party applications. Manage settings for LinkedIn plugins on third-party sites: LinkedIn receives information about a page you’ve visited when you view any page using LinkedIn’s professional plugins. The company uses it to improve the experience and provide you with insights, such as how many of your connections have shared an article using the Share on LinkedIn plugin. The “Account” tab in Figure 6 lists privacy controls and settings where you can manage your ad preferences. For advice on photo visibility, see Managing Your LinkedIn Profile Privacy Controls. Manage advertising preferences: This allows LinkedIn to show you ads on third-party websites based on third party data. You’ll most likely want to opt-out of both options. The famous golden rule applies to LinkedIn: Do unto others as you would have them do unto you. The more you reveal, the more likely people will engage with you. What are your recommendations for these LinkedIn settings? Also, please share your questions in comments so we can find an answer for you.